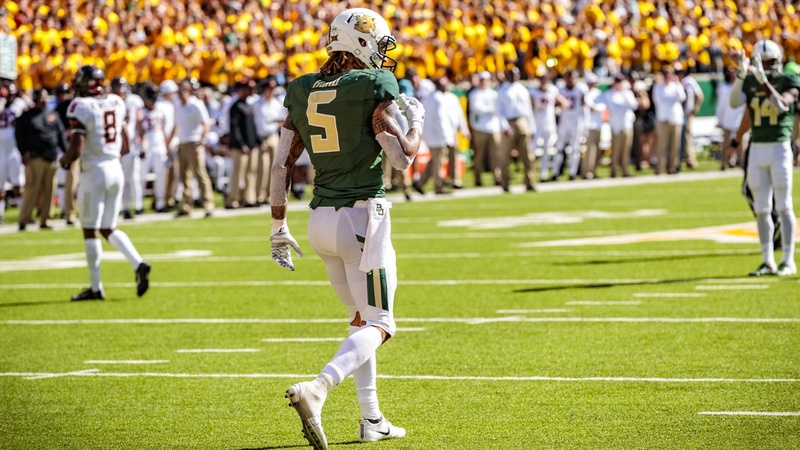 Acccording to NFL.com, Baylor seniors Jalen Hurd and Derrek Thomas have been invited to attend the 2019 NFL Scouting Combine. The two Bears are among 338 prospects invited to attend the event in that begins on Feb. 26. Hurd (6-4, 225), a transfer from Tennessee, caught 69 passes for 949 yards and four touchdowns in his lone season for the Bears in 2018. The former running back also carried the ball 48 times for 209 yards and three touchdowns on the season. Hurd totaled 773 touches for 4,282 yards and 33 touchdowns in his career. A graduate transfer from Temple, Thomas (6-3, 196) played in 39 career games with 14 career starts including 11 at Baylor in 2018. As a senior, Thomas totaled 21 tackles and an interception with 7 passes broken up. The former wide receiver totaled 35 tackles, 13 passes defended and 1 interception for the Owls at corner in 2016 and 2017. The NFL Scouting Combine is a week-long showcase occurring every February at Lucas Oil Stadium in Indianapolis, where college football players perform physical and mental tests in front of National Football League coaches, general managers, and scouts.